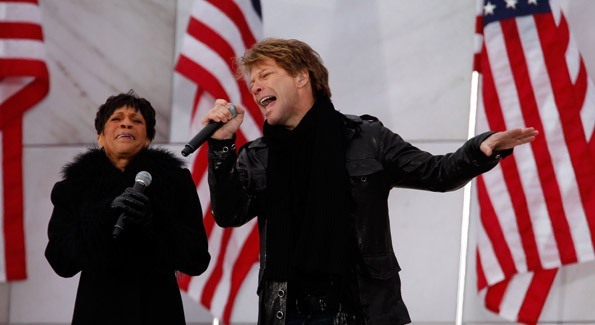 Jon Bon Jovi: Singer, Actor, Activist, Sports-Team-Owner, and Hair Icon knows the value of your time. Verizon Center concert goers on Monday night were treated to an amazing show and educated on the importance of giving back. The double message of JBJs tour is a great night of music and spreading awareness for his Jon Bon Jovi Soul Foundation. They strive to “Rebuild pride in one’s self and community – one soul at a time.” When he’s not “Living on a Prayer” Bon Jovi spends his time visiting sites of new housing projects and partnering to further the mission of JBJSF. About the writer: Tommy McFly is an Radio Host for MIX 107.3, Columnist, OnCamera Personality, and Character. Follow him on twitter!